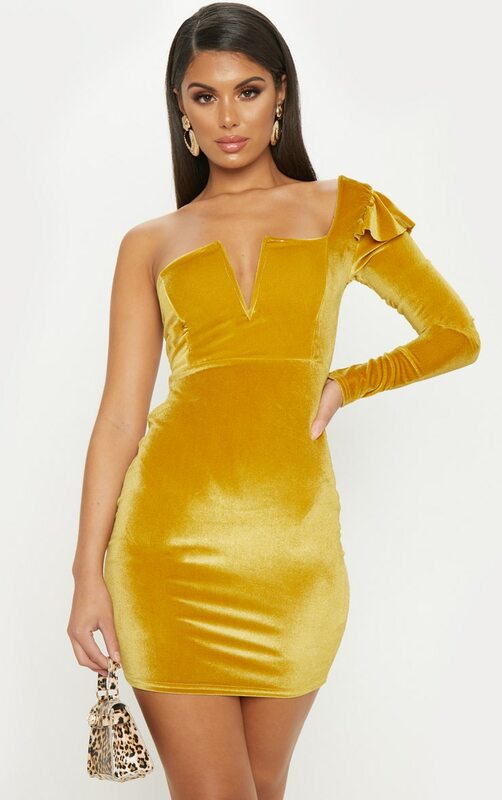 Get that lavish look with this bodycon dress. 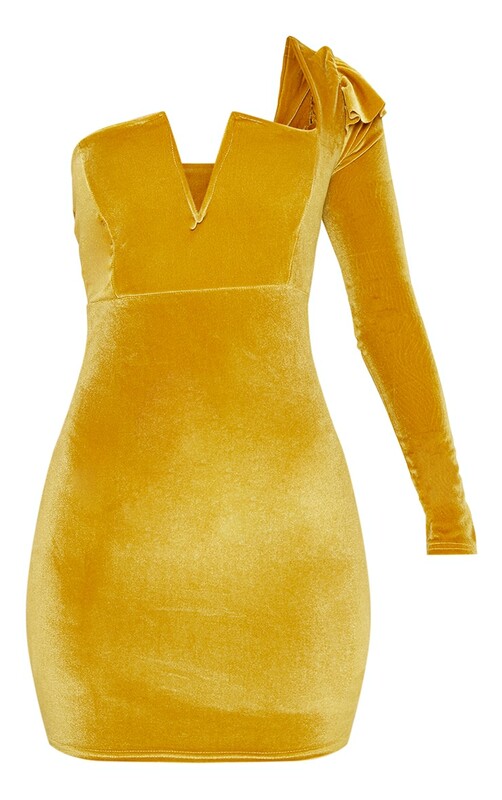 Featuring a mustard velvet fabric with a one shoulder sleeve and a plunging neckline. We love this teamed with gold strap heels and statement earrings for a show-stopping style.